This wood finish plaque is an economical alternative to a solid wood plaque. 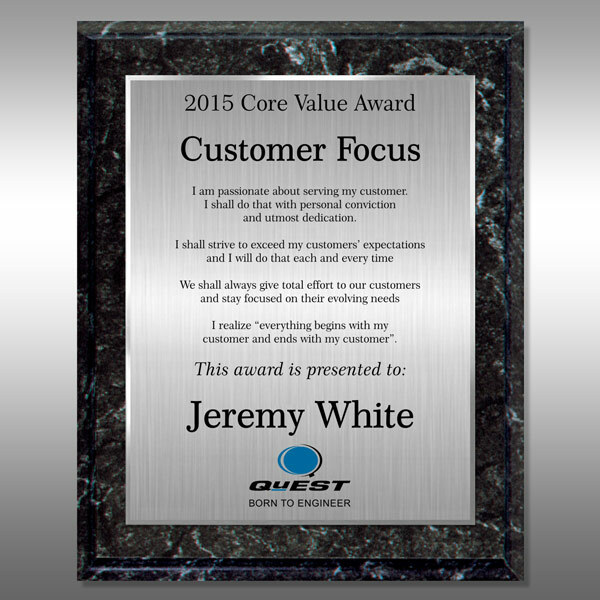 High quality full-color HD printing creates an amazingly sharp award plaque. Available in 7 sizes, see Related Products. This Award Plaque - Marble Finish AP-M79 is part of our Corporate Awards Series of products, check out other products & options available in the Corporate Awards Series of our selection. This Award Plaque - Marble Finish AP-M79 can be modified to your requirements and is available for your corporate award programs.